Whiteman Osterman & Hanna’s real estate attorneys have a breadth and depth of experience in real estate issues unmatched in Upstate New York. From the development of major urban commercial projects to the acquisition, financing and leasing of shopping centers and office parks to the approval of condominium/cooperative developments in different parts of New York State, our clients include financial institutions, FORTUNE 500 companies, major statewide, national and local developers, public entities, not-for-profits and individuals. Negotiation and preparation of agreements and instruments for a broad variety of commercial real estate transactions involving improved and unimproved properties, including purchases, sales, sales/leasebacks, options, rights of first refusal and rights of first offer, easements and declarations of restrictive covenants. Representation of landlords and tenants in the drafting and negotiation of commercial real estate leases, including office leases, retail leases, leases for manufacturing and R&D space and ground leases, and landlord representation in connection with “big box” leases. 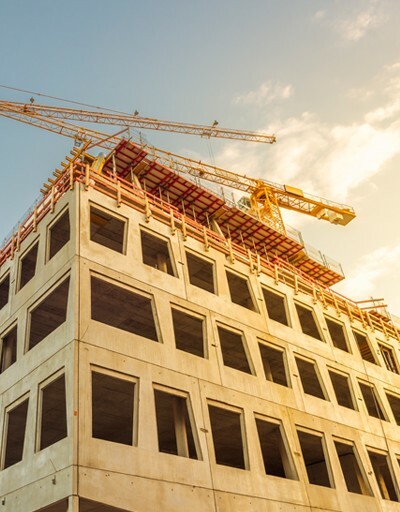 Representation of developers in connection with the development and construction of large scale retail, commercial, housing, office, municipal and utility projects, including obtaining governmental approvals. Representation of borrowers and lenders in a variety of financing transactions, including acquisition loans, construction loans, land development loans and refinancings, including the assignment of existing financing, both securitized and unsecuritized. Negotiation and drafting of construction contracts for projects ranging from basic improvements to complex, multi-stage projects. Prosecution and defense of real property tax assessment review proceedings with respect to commercial, industrial, utility and residential properties. Representation of mortgagors and mortgagees in real estate workout and mortgage foreclosure matters. Negotiation and preparation of conservation easements on behalf of both land owners and conservation organizations. Negotiation and preparation of easements related to historic preservation, drainage, public access, underwater lands, recreational access and timber harvesting. Representation of clients in adverse possession cases involving both commercial and residential properties. Our clients include financial institutions, FORTUNE 500 companies, major statewide, national and local developers, public entities, not-for-profits and individuals.